Super Lemon Haze is a very tasty variety - she has a very distinct flavor of citrus fruits mixed with the unmistakable influence of a Haze. The taste buds are fondled by lemon, lime and pink grapefruit and on the exhale the mouth is filled with very earthy and musky flavors, underlaid by traces of incense and black pepper. Able to yield up to 1.2kg outdoors. 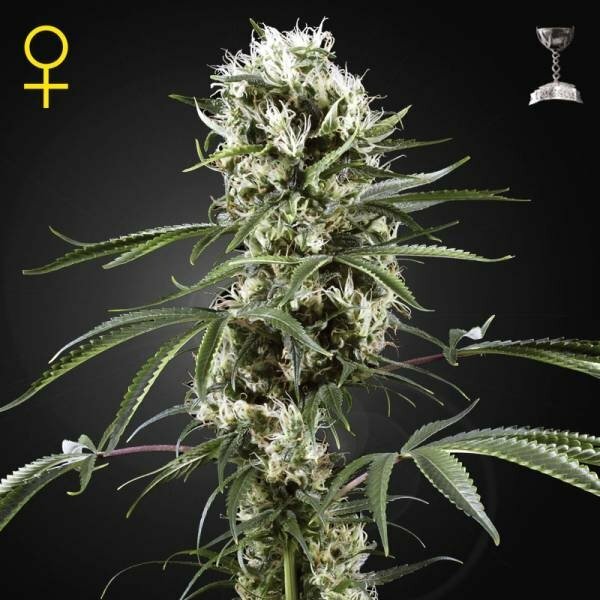 Super Lemon Haze is a multiple award-winning very tasty strain with a very good productivity and highly potent product. This crossing of Lemon Skunk and Super Silver Haze perfectly combines the most desirable traits of its parents. The plants tend to grow quite tall and exhibit Sativa-like leaves, but the internodal distance is not too big. Super Lemon Haze responds very well to pruning and is the ideal plant for the ScrOG method and LST (Low Stress Training). Super Lemon Haze requires a good portion of patience, in an indoor setup it takes 9-10 weeks before she reaches maturity. She performs very well in high EC hydro systems as well as in organic soil. The buds are dense, very long, riddled with very bright, almost white stigmas and have a high calyx-to-leaf ratio. Outdoors Super Lemon Haze is ready for harvesting by mid October, but she requires a warm climate like in California or southern Spain/Portugal. When it comes to the yield, you will be more than satisfied. Indoors a harvest can amount to 700-800g/m² - grown outdoors, under ideal conditions, an individual plant can produce up to 1.2kg! While the yield is already impressive, you will be even more impressed by the potency of the buds. Roughly 20% of the green gold are THC and even a seasoned pothead will be surprised by the fast-hitting initial Indica effect that slowly and smoothly turns into a psychedelic experience. But connoisseurs will enjoy the smoke as well, the palate is fondled by lemon, lime and pink grapefruit flavors and on the exhale the mouth is filled with very earthy and musky flavors, underlaid by traces of incense and black pepper.